Mark-10 Wire terminal Pull Grip-This grip is designed for wire pull testing applications. 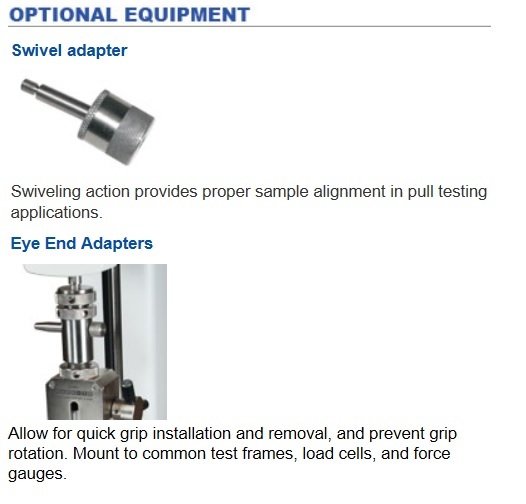 The grip secures wire terminals, cables, connectors, and other samples for wire pull tests. 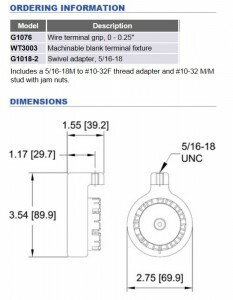 Grooves of multiple sizes are provided to accommodate a wide range of wire diameters up to 0.25 in. (6.3 mm). Simply rotate the turret wheel to the desired size. 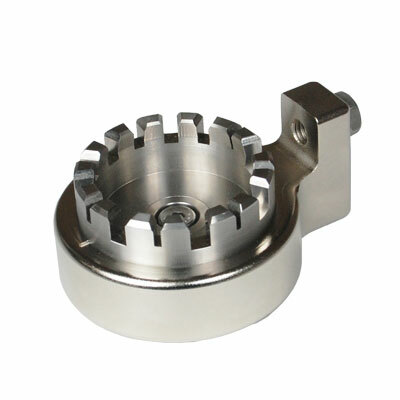 Integrated magnets hold the wheel in place to help prevent accidental rotation to a different sized groove. 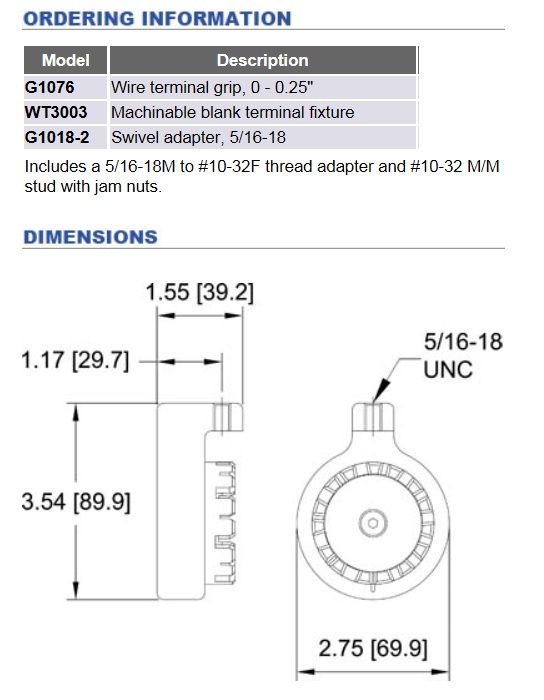 For unique sample shapes and sizes, a blank machinable terminal fixture is also available.